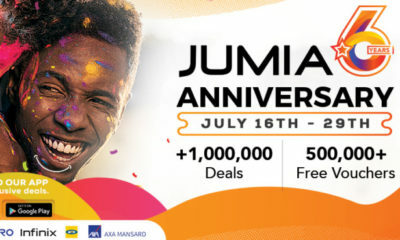 Four days ago, Jumia’s 6th Anniversary Treasure Hunt began with unbelievable treasures for you to hunt at incredible prices. The grand finale is set for tomorrow July 27th and what better way to bow out than to have 5 amazing deals all in one day? If you missed out on deals in the previous days, here’s your chance for you to try again.